Accidents happen. In the event that your accident involves a broken bone, you can confidently turn to STAT MED Urgent Care for the prompt treatment you need. Our immediate care centers in Concord and Lafayette, California, are led by physicians with backgrounds in emergency medicine, so we know how to provide expert bone fracture treatments in an efficient manner. And, unlike most primary care centers, we are open every day – even holidays – and never require appointments. We are also a considerably more affordable alternative to hospital emergency rooms in non-life-threatening situations. Visit us today! What does bone fracture treatment involve? Each patient’s best course of bone fracture treatment will vary according to the location and type of the break. For example, a bone fracture can be considered stable, compound, or oblique. 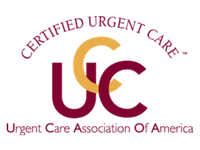 STAT MED Urgent Care’s centers are equipped with digital X-ray machines that allow our practitioners to swiftly identify what type of fracture is present and what form of treatment is most appropriate. Many bone fractures can be successfully treated using immobilization with a cast or brace. In addition to initial bone fracture treatment, STAT MED Urgent Care can provide follow-up care to patients throughout the recovery process. As our patient, you can be assured that you’ll always have somewhere to turn for expert guidance. Stop by STAT MED Urgent Care the next time you need treatment for a bone fracture or any other non-life-threatening health concern. Our immediate care centers in Dublin, Livermore, and other communities throughout San Francisco’s East Bay accept most major health insurance plans and offer convenient payment plan options.